First of all, this is gonna be my longest entry, so be warned. It’s full of cultural informations, harrr! 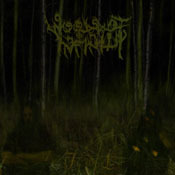 Months ago, I got an e-mail of someone asking about the lyrics from the Swedish black metal band Woods of Infinity, which I didn't know before. My first thought while taking a first glance was "Oh my god, how horrible is this?" Then, reading the whole Latin text, I thought: "Oh my god, it is horrible, but thrilling". Vide! Ades! Amabo te comprehendo, et tuo plura millia annorum purturio. Ipsa tibi blandos fudent seunabula morbus. Odi et excrucior quare id faciam, fortasse requiris. Vale puella! Iam legatus obdurat. At tu capitis damnatus. Meus nox est perpetua una dormienda. Tu dolebis vita tibi molestum est. First of all, I deleted all apostrophes and changed some letters to restore the original text, because the band used some ancient love poetry – much more informations later... (check the metal-archives page to see the „original“ writing). The title Excrucior means I suffer. The core of the word is "crux - cross". What is your opinion about the whole text? In general, it is full of mistakes, but understandable. It’s about a man who is lovesick and who swings from depression to anger. The band used a lot of text fragments from the author Catullus, one of the most important poets in Latin literature. What can you tell me about Catullus? First of all, if you are not interested in this, jump to the next question. Of course you can check the wiki-article about him, but I gonna tell you more about the significance the poems (could have) had for ancient readers. In Latin literature, he was one of the first poets writing in the 1. person singular about love themes. Then, he called the "I"-speaking voice in the poems "Catullus". For that, philologists first thought that the person (or better "persona" - the ancient word for "mask, role") "Catullus" in the poems must be identical with the poet Catullus. So, every disappointment mentioned in the poem by the "persona Catullus" must have been based on biographical experiences made by the poet himself. The philologists started to reconstruct the life of the (unknown) poet by extracting all the facts out of the poems. Then, they used these facts to interpretate the poems... which is like a cat biting her own tail. In the last 30 years, some philologists had another idea. The poet Catullus wrote a lot of his love poes about a girl he calls "Lesbia". There are some hints within the text, which real girl this Lesbia could have been, but I don't wanna follow these thoughts because of the problems mentioned above. The thing is: By using the word "Lesbia", Catullus knew that his readers had some associations with this name. It refers to the Greek island "Lesbos" and it's most known inhabitant: Sappho. In the 6. century b.c., Sappho was on of the most famous (female!) poets and a teacher for young girls as well. Among men, it was normal for this period, that education implied sexual experiences. This was widely accepted and normal (because of reasons I don't want to discuss here), but homosexuality among women was absolutey out of bounds. So, thinking about Sappho, an ancient reader thought about a) a famous female poet, and b) a woman with a perverted sexual instinct. These to aspects - according to the philologists - the "poet Catullus" used to create his "personae Catullus and Lesbia": Catullus is the one writing the poems (and showing some sexual misbehaviours), Lesbia on the other hand it the one not behaving like exspected - especially in Catullus' eyes, because he's looking for a relationship or marriage, and she's not. At the end the reader gets a little book with 116 poems which threat about live, love, sexuality, marriage, friends, feasts, mythology, satire, gossip... Reading those mostly short poems it's like channel-hopping and watching a programm called "Roman daily life". What do the single lines mean and which poems are quoted? Hardly understandable. Maybe: I cease in the mutual delirium. I’m not used to the games of the man. Look! Help! I’ll love you, I understand, and I’ll rot (this is what „purturio“ could mean, because this form doesn’t exist) for many thousand years. Again, hardly understandable. The words doesn’t fit to each other, they mean literally: She herself | for/to you | gentle (accusative - whom?) | they spread | ??? | illness (nominative - who?). Poor legate, Stop playing the fool. - Here, the band quotes Catullus c.8: In this poem, the I-speaking Catullus tries to ease his lovesickness by playing the role of an unemotional, strong man. He argues like this: „Goodbye girl, I don’t need you, you need me. You’ll see. No one will kiss and love you in the future, but don’t come back. I don’t want you any longer.“ The metre impedes the content, because Catull used a funny limping rythm, so by reading the lines, you know that he really suffers lovesickness and can hardly handle the situation. This is almost 50% of Catullus’ most famous poems, c.85: Odi et amo, quare id faciam, fortasse requiris | Nescio sed fieri sentio et excrucior. – I hate and I love. Why I’m doing this, you may ask. Dunno, but that it happens I feel and I’m tortured. The first word is the beginning of c.5: Vivamus, mea Lesbia – Let us enjoy live, my Lesbia. There are several ways to interprete the text, but literally it’s about Catullus who wants to enjoy spending time with the girl without thinking about the morality of the elders. The rest means „poor legate“ again. Goodbye girl. The legate already stays strong (again an important word of c.8 – see above). But you are sentenced to death (damnatus is a masculine ending, so it must refer to Catullus himself). Again an important quote from c.5 (see above): one perpetual night must be slept by me. Catullus argues that there is just one life and there is nothing after death. Therefore you must enjoy every moment (simple and not totally correct Epicurean philosophy). You’ll suffer, your life will be uneasy. Grammatically not correct: Fear of the pain. The rest of the lyrics is written in swedish and talks about torturing and murdering a girl in the forest. Luckily, „my job“ is just comment the meaning of the Latin words and not the „sophisticated“ content of the text as a whole.